As a general rule to myself over the course of my years of alien creating, I wanted to keep the alien species I created on a level playing field. 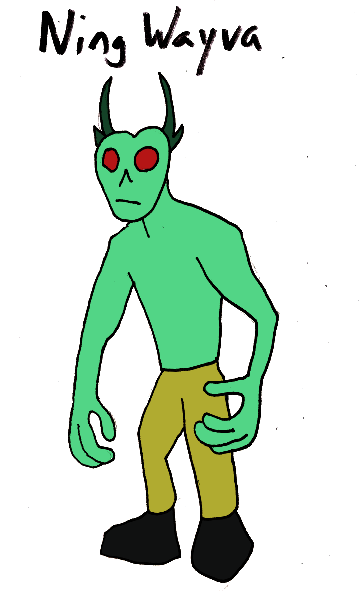 The general idea was that they were aliens who would be peers with humanity. 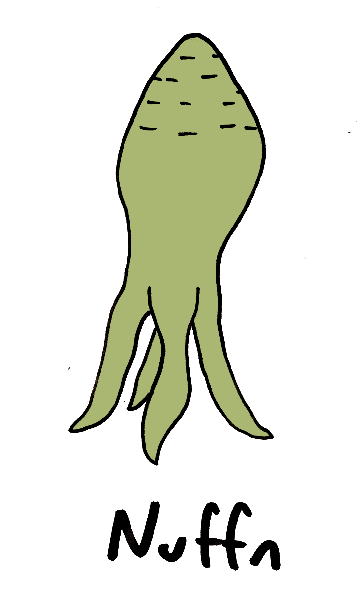 But today, I’m going to do aliens that are far beyond our level. In ancient times when the universes were young, powerful beings came to life beyond them and watched as they grew. One of those beings, now called Thalamaya, saw opportunity in conquering these universe to gain power enough to destroy the other beings and rule all of existence. A cosmic battle was waged, universes were shattered, powerful entities died, but Thalamaya’s plans were slowed, if not stopped. The following beings were enemies of Thalamaya that were banished into physical universes as a punishment for their opposition. 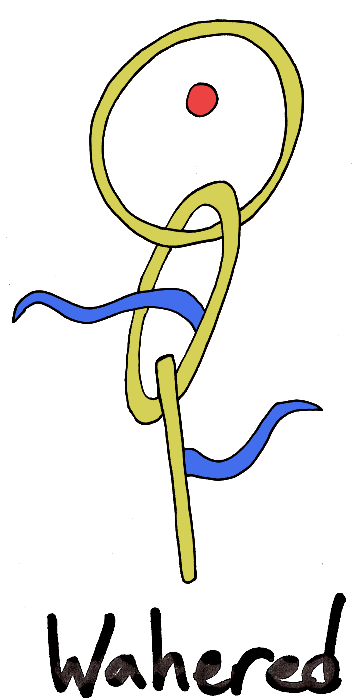 Ynjellek was the being that saw the threat of Thalamaya and united other beings to fight back. When banished to a physical universe, the entity saw all the beings living within and took a liking to them. Devoting itself to protecting the physical lifeforms from various threats from beyond, Ynjellek soon realized that the more power is expended, the more it became a physical entity and lost its powers. Even knowing this, Ynjellek continued to do good deeds until it was weak enough for some Earth-based criminals to capture it. It then played a role in the origin of a superhero called the Noblewoman. Embarrassed by being defeated by Thalamaya and banished to physical realms, Diashash want nothing more than revenge. 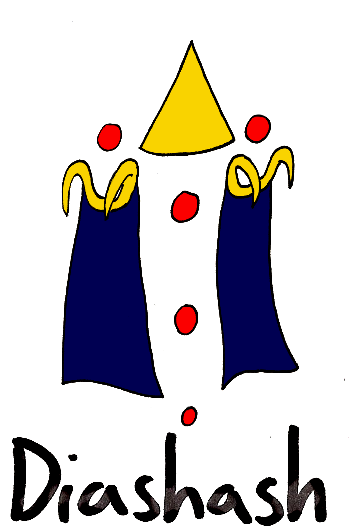 In the universe where Diashash is now trapped, it does nothing more than try to gain power, often by possessing living beings and creating mystical cults. Just to make things worse for the universe, Diashash’s powers work strongest on the recently deceased, so raising the dead as possessed cultists is a standard tactic. The ultimate goal is to break free, even if it means shattering the universe. This being, when banished to physical realms, wound up in the fantasy universe that was home to the Efmons. Unfortunately, this was one of Thalamaya’s strongest beachhead in physical realms. Airlasai, being made up of otherworldly energies, was able to bring magic to the fantasy realm and empower all manner of wizards and mages in the hopes that they would fight Thalamaya’s forces. And while that did actually work out in the long run, long before the battle that banished the Efmons, the denizens of the fantasy realm turned on Airlasai and captured the being, hoping to drain even more power. And there, magically captured in a specially created mountain, Airlasai remains to this day. Wahered is a mystical being that resembles a cluster of wormholes and can travel from place to place in an instant. Thus, being banished to physical reality is not so limiting. Since the war, Wahered has become less interested in fighting Thalamaya and now is more invested in satisfying its own curiosity about the universe than anything else. Wahered’s presence has been noted by the Pllvmoids, who were inspired toward their own research into wormholes. 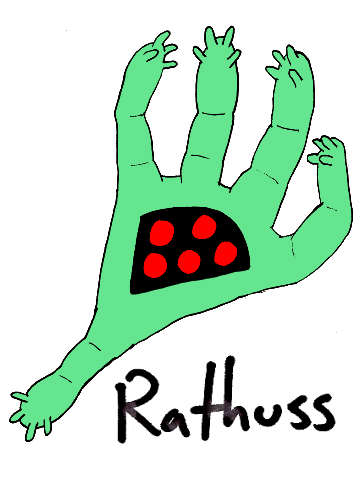 Rathuss, being more suited to physical reality than some of the others, was less disoriented when banished there. But uncertain what to do, Rathuss decided to simply go to sleep in outer space. Over the centuries, dust and ice and stuff have accumulated on the entity’s form and it now resembles a small moon. It’s true nature unknown to any who might stumble across it, who could say what would happen if some astronauts happened to land there. Perhaps only time will tell. Creshmll was an adaptable entity and took to physical reality by becoming more physical. Sadly, this made the entity more susceptible to physical threats and, indeed, the threats succeeded in ending the existence of Creshmll. Still, the “shell of bright” that the being evolved to fight its enemies has been adapted to armour for the likes of Dayguard and thus Creshmll continues the fight against evil. Tagged: aliens, character sketch, Efmons, fantasy universe, Super Sunday! The species known as Redak Sovens look like massive snails to humans, but they are actually an incredibly tough lifeform with regenerative powers that make them almost immortal. 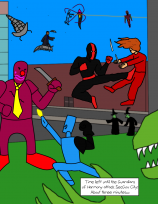 In spite of their toughness, though, their world has been conquered by magical mutants from a fantasy world known as the Efmons. While the invaders have established a base on the world, and they reward those who convert to their religion, for the most part they leave the Redak Sovens to themselves. 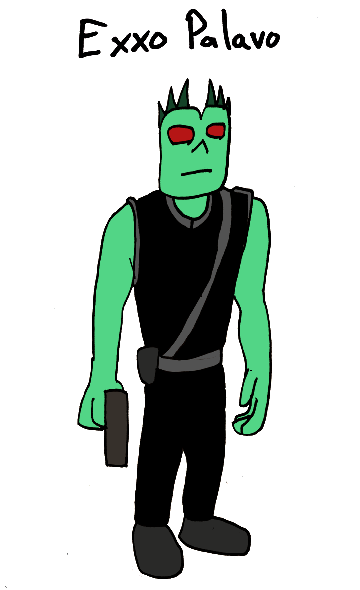 Cot Rondar, a member of the Efmon Space Commandos, is a Redak Soven. 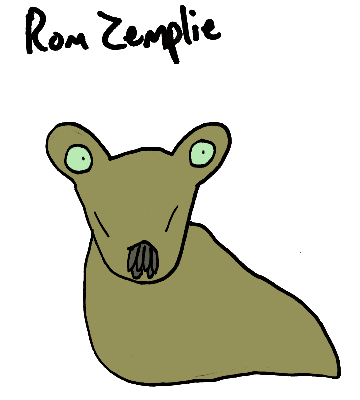 Redak Sovens value being tough, and Rom Zemplie proves how tough it is by eschewing the technology that almost all others of the species carry on their back. Rom figures that relying on anything that isn’t innate is a sign of weakness, and often that does impress the others, who are then willing to work for Rom, and use their technology to Rom’s benefit. Stop Gowlont is an old school type. Unwilling to accept the Efmons as being rulers of the world, Stop likes to challenge Redak Sovens who are loyal to them to duels. Because they are so tough, duels among Redak Sovens are never to the death (it would take too long), so even if Stop is unsuccessful, at least some pain has been inflicted on the enemy. But Stop actually does win often enough that the Efmons are taking notice. 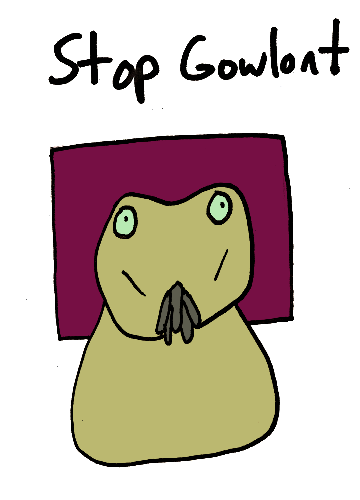 Stop is the first of the conquered species since the invasion who the Efmons have decided is worthy of being wanted, dead or alive. 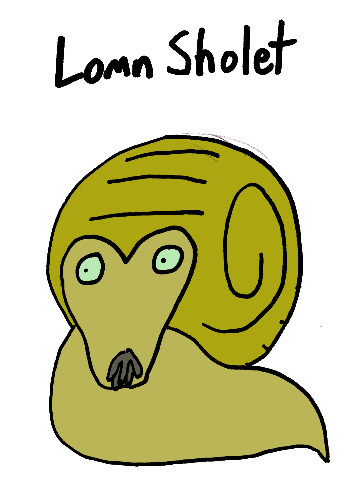 Lomn Sholet is, like many Redak Sovens, picking up little bits of mystical knowledge from the Efmon invaders. While not willing to convert to worship of their god Thalamaya, Lomn likes the ways that magic can improve life. Lomn is especially fond of finding ways to use magic to improve the technology they already have. 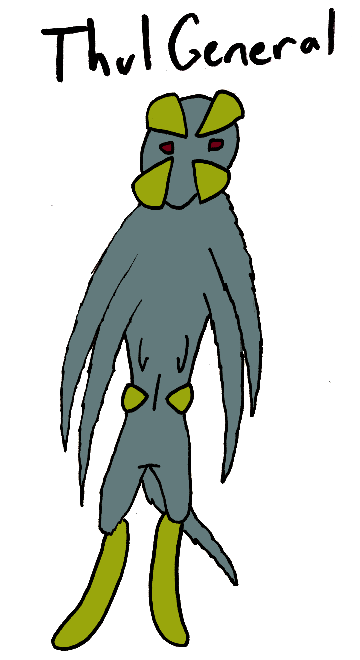 A Fact About Redak Sovens: While the Redak Sovens had not left their world before the Efmons arrived, and did not know about alien life, they actually had been visited by life forms from another planet in a nearby system. 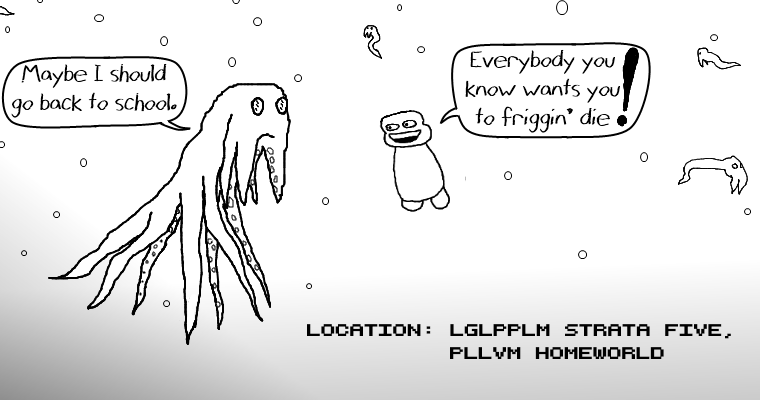 Those nearby aliens only came to study the local life. They would probably have made contact at some point, but when the Efmons came to their world, they put up a resistance and it has been going poorly for them. Tagged: aliens, character sketch, Efmons, Super Sunday! 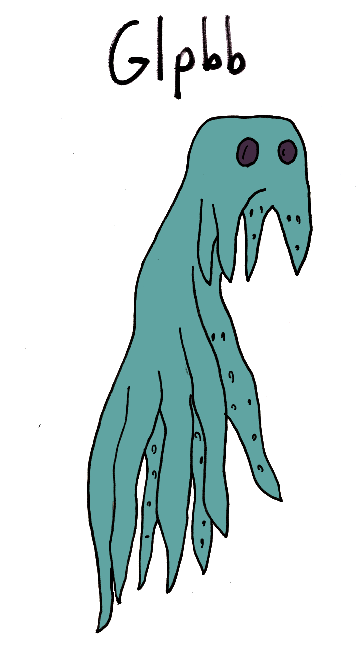 The Efmons are a massive family of magically-enhanced world conquerors who were exiled from their home dimension. Trying to establish a new base of operations, they conquered the planet Zezwek. 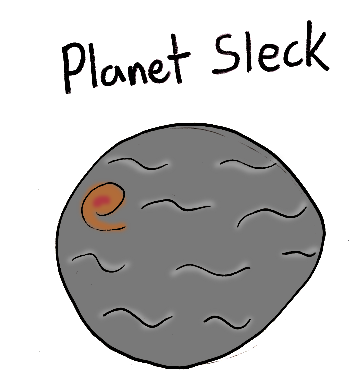 Using this world as a beachhead into the new universe in which they find themselves, the family have begun magically travelling to other planets and, when they find intelligent life, conquering. Their resources are limited, though, so when possible they have been recruiting the conquered alien species to their cause. This is a special forces team they have created with the intent of going into enemy lines for missions. 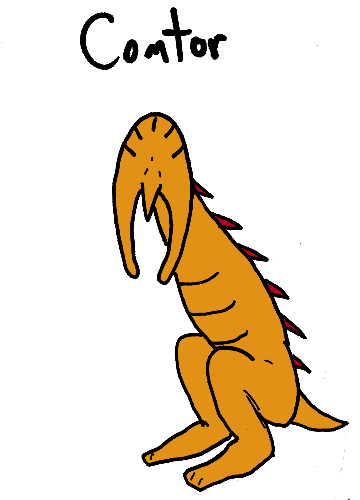 Phillin is a young Efmon, born after the family’s defeat in their home dimension. 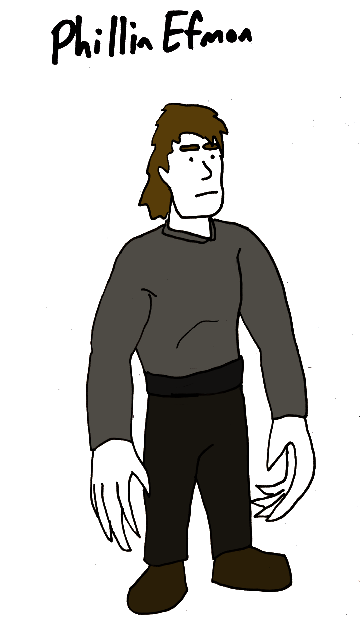 He was trained at a time when the family was pushing its hardest to return to power, and had to start young, and saw combat even before his ceremony that gave him his mystical powers, something which never would have been allowed on the homeworld. 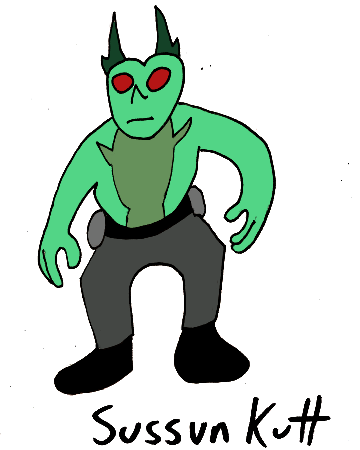 Phillin showed such skill as a warrior that it was decided he would be the perfect Efmon to keep the alien commando unit in line. Exxo Palavo has committed wholeheartedly to the worship of the Efmon’s god, Thalamaya. Having fought the Efmons when they first began their conquest of Zezwek, Exxo saw such miracles as could not be explained but by magic. Any force that could make such things happen was beyond the scope of Exxo’s imagination. During a battle Exxo surrendered and was put in a prison. There, introduced to the teachings of the Efmon, Exxo never doubted the new faith and was rewarded with a chance to serve Thalamaya’s mission. 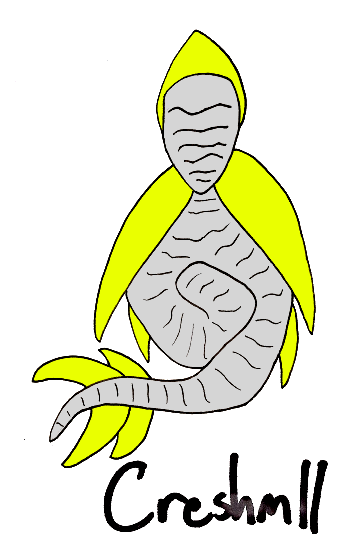 Nevek Sang comes from the nearest inhabited planet to Zezwek, and the species could hardly be more different than the Zezwek People. Voracious carnivores that prefer to live solitary lives, Nevek’s people actually had knowledge of certain mystical practices before the Efmons arrival, which only allowed them to sense the power of the invasion force. It only made sense to ally with such a powerful army, and they opened up their world to the otherdimensional family. Nevek is a particularly bloodthirsty example of the species, often going out of the way to make an enemy’s death more painful than it need be. Comtor represents a species that is intelligent in the ways that we, as humans, consider important, but was not the dominant species on their world. Apart from some mild tool use, the species had not advanced technologically, and their small population was beset by the dangers of predatory species and inclement weather. The small predatory species would hunt game, running faster than cheetahs, but were often driven outperformed by flying animals. When the Efmon forces arrived on that world, Comtor was one of the first beings inquisitive enough to investigate, and that is how the Efmons discovered their intelligence. The species has now been introduced to advanced technology and suddenly finds itself living at the top of the food chain in what seems like a magical paradise. 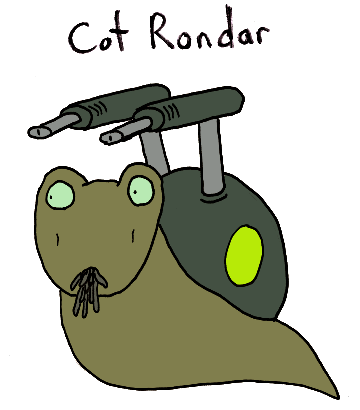 Cot Rondar is the team’s tank. A large snail-like creature, Cot’s regenerative cellular structure makes it almost impervious to most damage, and its strength makes it ideal for carrying heavy weapons and supplies. Cot actually has no technical loyalty to the Efmons in general, but is from a species whose hierarchy is designated by shows of dominance. 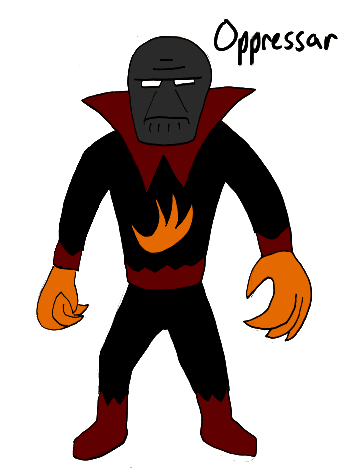 The Efmon’s invasion of Cot’s planet proved that they are the alphas in that galaxy. 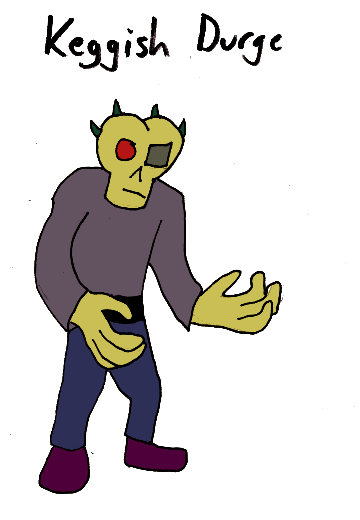 The planet Zezwek is occupied by an otherdimensional invasion force. Only a generation ago, the Zezwek people were spread over the planet, various nations and cultures and tribes. 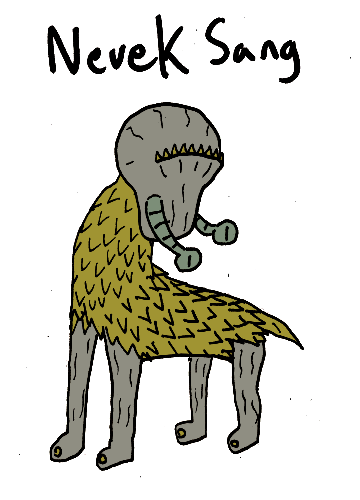 They are a herbivorous species who, in most of their cultures, were ruled by councils of elders. Then the Efmons came. A family of mystical warlords from some other cosmos, the Efmons conquered the world fairly easily. Towwa Efmon, who resembles a Zezwek person, has been put in place as Master of Zezwek and all the varying cultures have been united as one under their rule, as slaves. Though the Efmons used force to conquer the planet and to maintain their hold against uprisings, they ultimately don’t want the people of Zezwek to remain slaves. The Efmons want loyal subjects. With that in mind, they now work very hard to convert the locals to the worship of their dark god Thalamaya. Given that they have visible mystical powers on display, many locals are willing to go along with it. Ning Wayva, is a convert to the Efmons. 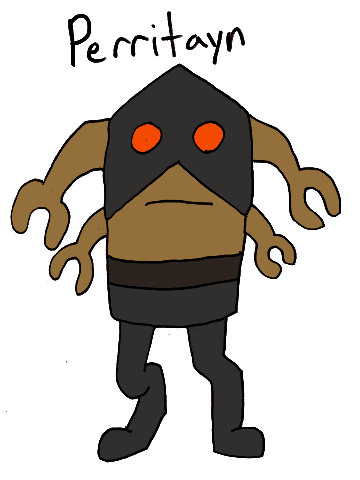 Ning fought against the Family when they first arrived on the planet, but after the locals were defeated, the Efmons allowed Ning a chance to serve in a new army to keep the rebellious Zezwek locals under the Efmon thumb. Ning is especially excited about the Efmon’s promise that someday the army will be strong enough to seek out other worlds to conquer. The younger generation, such as Sussun Kutt, have grown up under Efmon rule and don’t know anything else. While the cultural norm for the species is a respect for elders, the Efmons have been trying to introduce an attitude of youth-worship. Sussun Kutt, being loyal to the Efmons, has been promoted as the world’s first celebrity idol. Instead of being like successful elders, the Zezwek youth are told that this is how they want to act, this is who they want to be. As with so many similar situations on Earth, this is having an adverse effect on Sussun, the idol themself. Keggish Durge was once a respected elder in their nation. 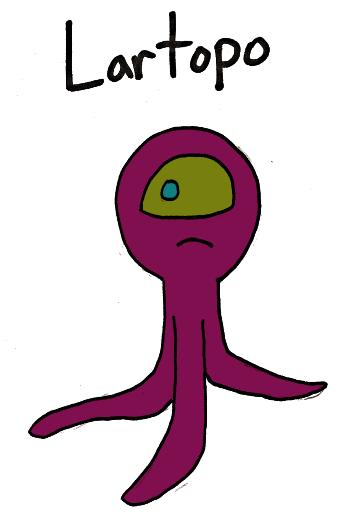 Keggish wants nothing to do with these strange beings who claim to be from another world. Keggish leads a resistance that makes their base in caves near one of the planet’s shipping ports. Keggish lost an eye in a fight against Wabatose Efmon, but that has not stopped Keggish from repeatedly trying to breach the family’s portals to sabotage them on their own turf. A Fact About the Zezwek People: If they ingest dirt, the Zezwek people can regurgitate it into a claylike substance which hardens into a strong but flexible material which is often used when constructing buildings. It is especially helpful at the base of buildings in tectonically active areas, as the material’s flexibility helps buildings withstand earthquakes.